Anthony Scaramucci almost had the last laugh on Donald Trump, because T-Mobile offered him a fortune to do a Super Bowl ad, but then mysteriously pulled the plug ... TMZ has learned. 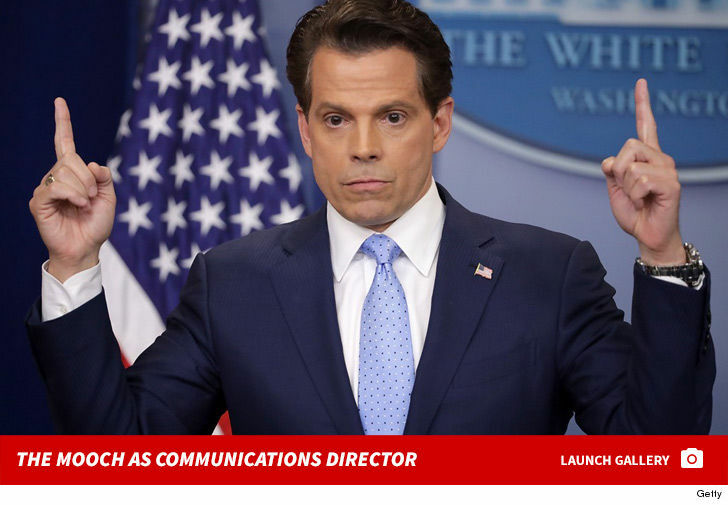 Sources familiar with the deal tell us the behemoth mobile carrier contacted Scaramucci's reps a few weeks ago and offered in the mid-6 figures for a surprise ad during the game. We're told the premise was Scaramucci at a podium fielding questions about T-Mobile, and whenever someone had their information wrong he'd scream, "Fake news!!!" Days after the offer was made, it was pulled with no explanation. Sources connected with the former White House Communications Director say they believe it was yanked because of Scaramucci's politics. We reached out to T-Mobile ... but the company was radio silent.